To be honest, these Tomato Tuesdays are a little depressing. It still hasn't warmed up past 50 degrees at night and so instead of doing the "tomato shuffle", I've opted to keep my tomatoes indoors in a sunny window. On with today's post....you can grow tomatoes in hanging baskets/containers! Don't skimp on the container size. If you want a healthy plant, give it room to grow. Make sure to have plenty of drainage holes, as tomatoes like a consistent water flow, not too wet, not too dry. Place your container in a sunny spot, out of the wind. Containers can dry out quickly, so make sure to water frequently (on hot summer days you might have to water twice a day). Don't worry I have a tip for this that I will share at a later time. Only one plant per container. 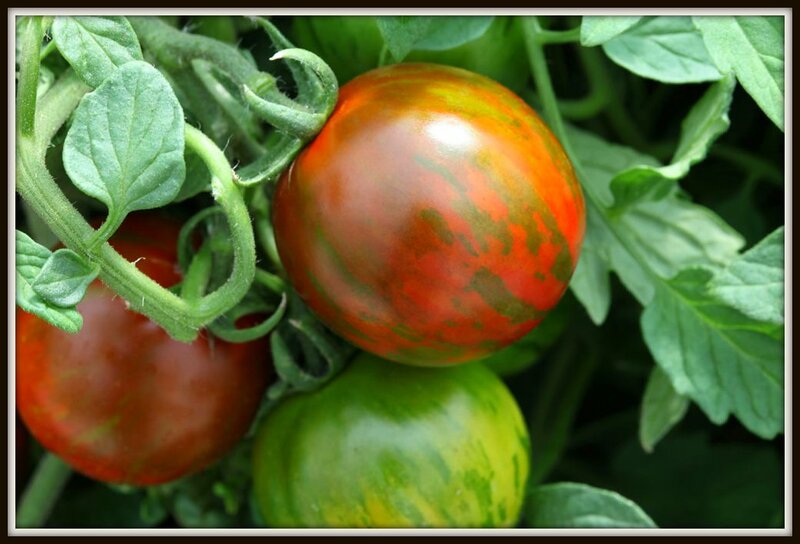 Look for tomato varieties that are called "tumbler" or "tumbling". Cherry tomatoes will also work! The best containers to use are the ones that are lined with sphagnum moss as the container will hold water more efficiently. I'm going to be growing "Rambling Red Stripe" tomatoes in a hanging basket this year. 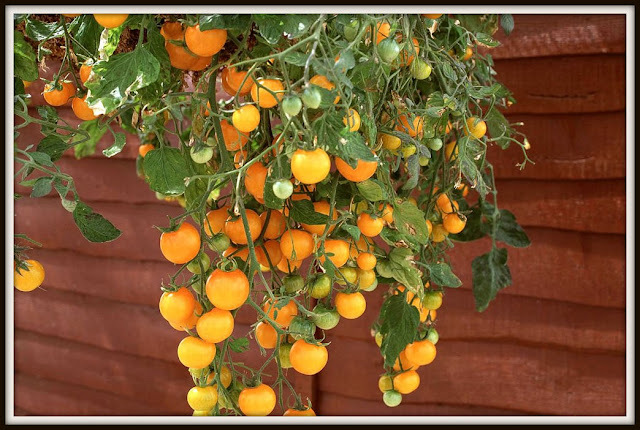 I had to order the seeds, but have heard these are great tomatoes for hanging baskets! 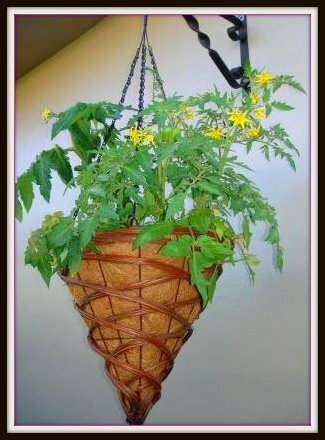 Tomato hanging baskets are great for those in apartments or with small gardening space!